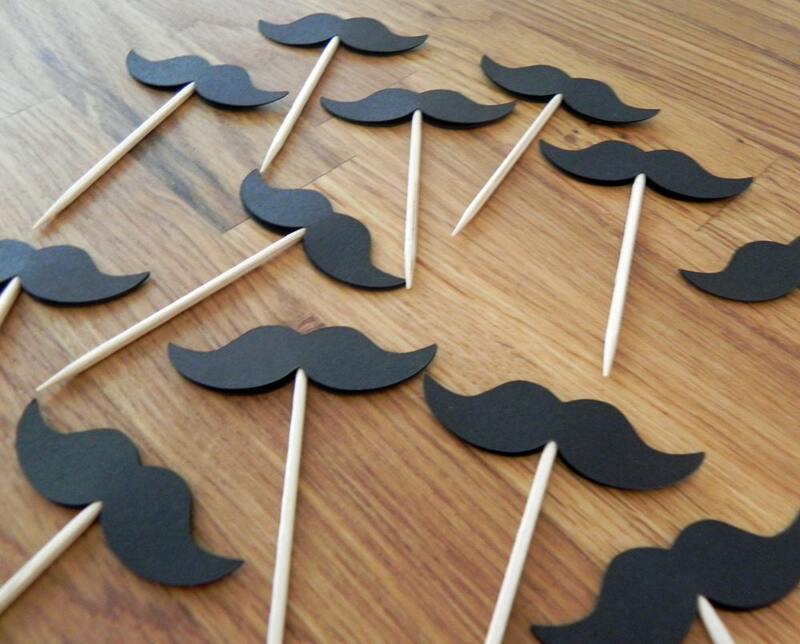 Each set includes 12 x 2" double-sided, die cut mustache party picks constructed from heavy weight cardstock and mounted on a toothpick - they are perfect for party food or they can be used as mini cupcake toppers! 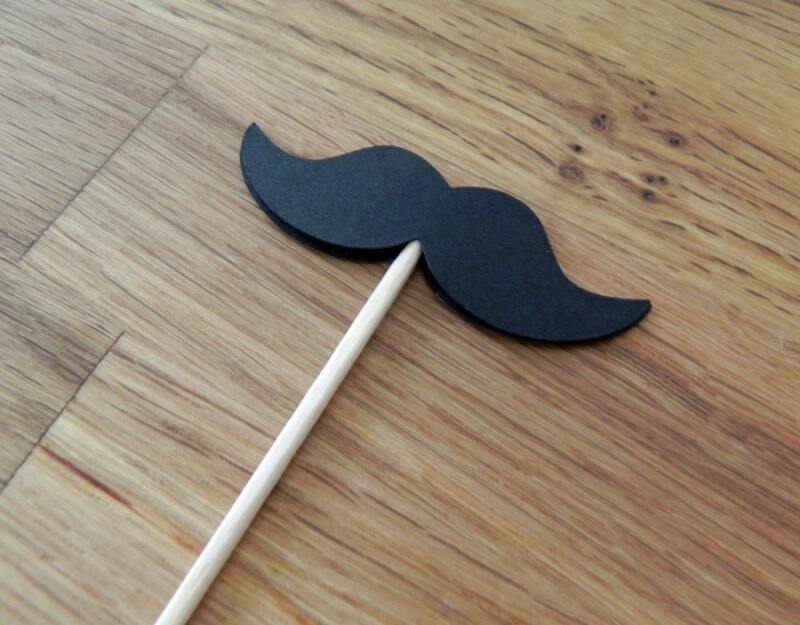 All 12 of your party picks come fully assembled & ready to use! Want to customize the bow tie color to match a theme? Just ask!